What is the Flying Start Challenge? 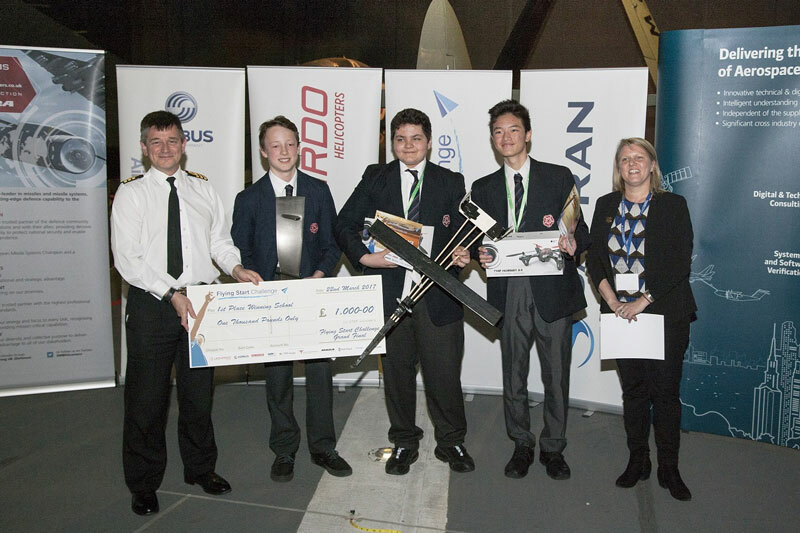 23 March 2016 – The ‘Prime-mageddon mk2’ team from Clifton High was named 2016-17 champions at the Flying Start Challenge Grand Final yesterday, which took place at the Fleet Air Arm Museum. They beat ‘The Flying Hippies’ from Clifton High and ‘Rapide’ from Malmesbury into second and third places respectively. The grand final involved a variety of engineering activities, not only to evaluate each team, but also to promote STEM through different approaches. The children took part in two other activities, counting towards the overall results. The first activity was to design a helicopter rotary system that would support a pilot/teddy and make him land safely on the ground from the second floor of the museum. The accuracy and the speed of the landing were both taken into account for scoring. The second activity was the design of a carriage that would travel uphill along a zip wire, using only elastic bands, lolly sticks, paper clips and tape. After these challenging activities, pupils were asked to present their posters and explain the design of their gliders, using the knowledge they acquired during STEM lessons. Finally, the fly-offs took place and saw all competing teams throwing their gliders as far as they could. The prize ceremony closed this eventful day which was a success thanks to the pupils, teachers, helpers and organisers. Overall Activities Winner was ‘Team Phoenix’ from Bristol Free School, Zip-Line Activity Winner was ‘Air Van’ from Bristol Free School, and Autorotation Activity Winner was ‘Zimbabwe Airlines’ from Chipping Campden Academy. The day started with a presentation by Bloodhound SSC team, a car designed to go faster than the speed of sound and break the land speed record. A Bloodhound activity was then organised to enable the pupils to build their own air powered car and try out their design on a test bench.